For some industries, competition is so fierce that price increases are simply out of the question. With dwindling profits, the fight to keep the business open can feel like an endless battle. But there is hope because price and margin are not the same thing. 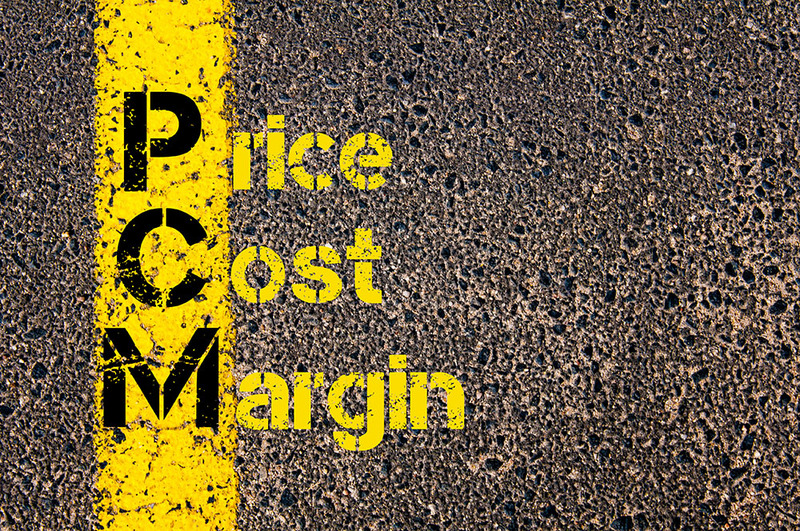 In this piece, let’s explore the difference of price versus margin. Your profit margin is the difference between your selling price and what it costs you to produce your products or services. If market pressures mean you cannot increase your price, then you need to start focusing on reducing your costs. When you lower your costs, you automatically improve your profits without the need for a price increase. It might seem counter-intuitive to increase your margin by spending more money. However, if you employ someone to assist you or outsource administrative tasks, it will free your time to do more profitable activities. Imagine having more time to do sales calls or customer service calls so you can increase sales to your existing clients. Alternatively you may be able to significantly increase output by employing an extra person or investing in new equipment. When was the last time you reviewed service contracts with your phone, internet and power providers? Don’t be afraid to contact these service providers to ask for a better deal. Have you checked your business insurance policies to make sure they still offer you value for money? It pays to shop around. Seek the services of a reputable insurance broker and they will do the work for you. When you thoroughly understand the financial position of your business, you have the power to take control of its profitability. Some business owners don’t know where to start or simply find it difficult to implement the financial controls they know they should have. Causatum can help you improve the profitability of your business. You can discover more by arranging a free initial consultation at office@realbusinessgroup.com.au or visit https://www.realbusinessgroup.com.au/ for more information.